With the rapidly shortening days around the equinox, my SAD hit me again. At least this year I noticed it quickly, instead of spending a month wondering what was wrong with me. On top of this, for the last week or so the weather has been miserable. The clouds surround us, blocking out the sunlight and filling the air with moisture. Everything is dark, cold and damp. This doesn't help. So, um, sorry for the recent lack of blog posts. I made some progress with the solar panels, then stopped when it got difficult. I'll tell you about that when I get back to it. 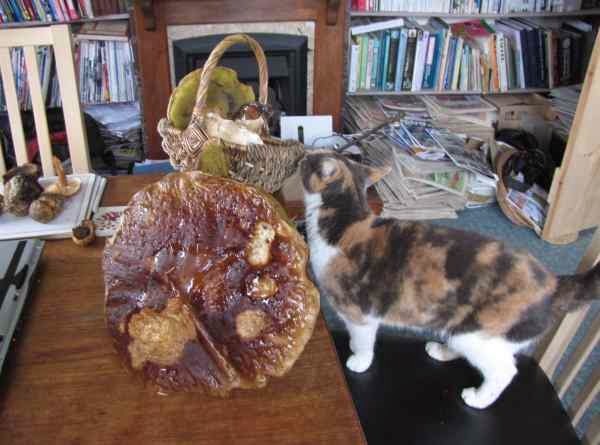 Right now, the need to creosote woodwork does not sit well with the presence of mushrooms trying to dry in the same space. I have harvested the sugar beet - a smallish barrow load (I haven't weighed them yet). This doesn't feel terribly positive right now, because the next task is to clean them. 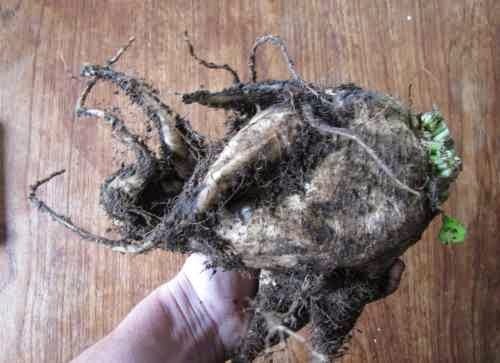 Filthy sugar beet. They're not all this big. 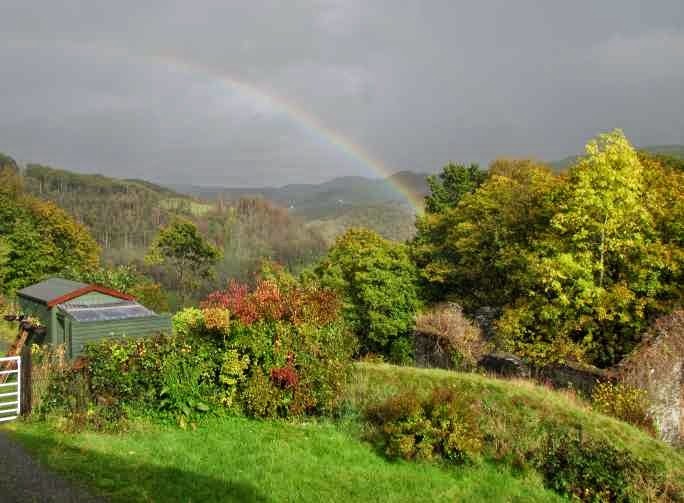 One positive side of all this damp weather is that when the clouds do break, we often get very nice rainbows.